In September 2017 former St Louis Police Officer Jason Stockley was acquitted of the murder of Anthony Lamar Smith. In response, protests erupted on the streets of St Louis. Protests that saw face-offs between citizens of St Louis and those who had sworn an oath to serve and protect them. Some of the images from those protests show how intense and heated these interactions got. Young black men angrily shouting in the faces of riot-gear clad police officers. Taunting them to react…. not unlike Jesus in his taunts of the Jewish authorities in one of today’s readings from John chapter 5. Pastor Erin often says she likes herself some sassy Jesus. In this reading from John’s gospel we have a taunting, provocative Jesus on full display. “You search the scriptures because you think that in them you have eternal life; and it is they that testify on my behalf. 40 Yet you refuse to come to me to have life. 41 I do not accept glory from human beings ……Do not think that I will accuse you before the Father; your accuser is Moses, on whom you have set your hope”. This Jesus is going to get himself in some real trouble soon! That September the police officers did react, but usually under cover of darkness as in the now infamous “kettling” incident in downtown St Louis that saw even one of their own caught up in the beatings, or rushing in on bikes indiscriminately macing and beating protestors who were well behind the front lines, and conveniently out of the media’s camera range! For those of us “nice white folks” who joined the protests in those late summer days and who had no reason to question police authority (“do as you’re told and all will be well”), it was a very rude awakening and a rare glimpse into the injustices experienced daily by our black brothers and sisters. “Do you believe us now”? one young black woman asked wearily of no one in particular, as she administered maalox to the streaming stinging eyes of another maced young protestor. When we read today’s passages from Psalm 22 and Jeremiah 5, it is hard to glean much in the way of hope, and it seems that justice will remain forever out of reach. 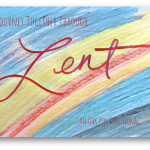 The season of Lent further underlines that pessimism as we wait and wait and wait. It would be too easy to finish this reflection by rushing to the empty tomb of Easter and put all wrongs to right in a final flourish of a sentence of resurrection power, like the happy ending of a Hallmark movie. Instead we really need to sit uncomfortably for a long while with the feeling of being forsaken like the author of Psalm 22, or seeking and failing to find justice anywhere, like Jeremiah. For far too many of our fellow citizens who seek justice, the season of Lent has lasted a lifetime and more. Prayer – Lord, you have called us to work for justice. Strengthen our resolve when we falter, needle us when we are complacent, and convict us when we are complicit with systems that destroy the lives of your beloved children. Amen.